When it comes to virtual reality and augmented reality, these have been the hot tech buzzwords on everyone’s lips over the last few years. Bringing digitally-created visuals into real-time view, they represent everything we perceive the future might hold. These words have also become the investment darlings for big businesses, and are changing the game for viral marketing campaigns, virtual reality and augmented reality are used by more and more user brands. But what exactly do they mean and what will their impact be on our society for the future? Although often lumped together as the same thing, there are in fact key differences between these two terms. Virtual reality refers to an entirely simulated experience, created by a computer and achieved by wearing a headset. Augmented reality is the use of technological enhancements layered on top of our visible environment. With augmented reality (AR) it is now estimated that around 40 million people in America alone will engage with it in 2017, with the majority of users doing so via the Snapchat app. Perhaps in response to this enormous expanding reach, Facebook recently announced at their F8 developer conference that they will be introducing a new ‘Camera Effects’ platform, demonstrating their own decision to invest heavily in AR. With the presumed intention of taking on Snapchat, it is clear that they want a share in the spoils of this burgeoning market. Are We Looking At A Virtual Future? 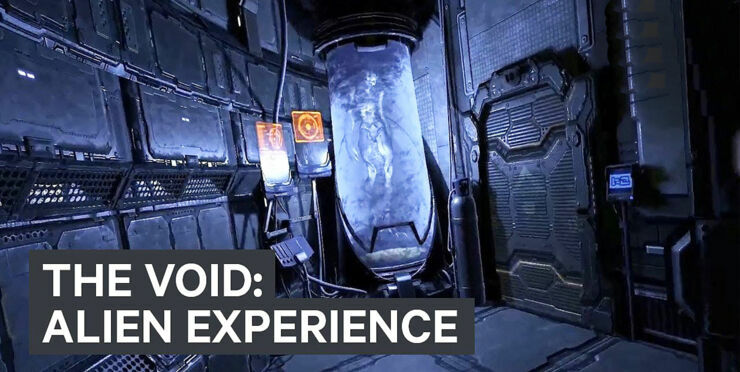 The Void seamlessly blends virtual reality experiences with physical environments / Image: Youtube. As we’ve seen with a virtual reality theme parks like The Void, the VR scene is growing with more companies investing in it by the day. Although a lot of the developments being made are centered around immersive gaming, the boundaries of what VR can do are still being tested. Despite this work, there is broad consensus that it may well still be another decade or so before we see the full power of VR brought to the wider public. The physical equipment – headsets and programs – are simply not accessible or too expensive for most people. The Guardian recently reported on the future of VR and had this to say, "The last year has seen the launch of every major VR platform, from high-quality tethered systems like HTC’s Vive and Facebook’s Oculus Rift, through to cheap-and-cheerful smartphone-based platforms like Google’s Daydream and Samsung’s Gear VR." They go on to say "If VR is going to become the next major computing platform, pushing mobile phones aside the way they left desktop PCs lagging in their wake, 2017 will be the crunch point." The other big player that will be bringing AR to the forefront of smartphone mobile use is Snapchat. Back in April this year, they released their Lenses, allowing users to layer different backgrounds and designs to their videos applying filters intelligently to the world around you using augmented reality and your smartphone’s camera. It is certainly apparent that whatever happens in the future, AR technology will play an enormous role. It is the next step in tech development which has the capacity to reach almost every person with a smartphone. Based on that fact alone, we reckon it would be smart to start following it. Hyper-Reality presents a provocative and kaleidoscopic new vision of the future, where physical and virtual realities have merged into an augmented reality overload, and the city is saturated in media.